George Fox University welcomes and respects all students regardless of citizenship, ethnicity or religion. We value diversity as an essential dimension of what it means to be human. You are welcome here! 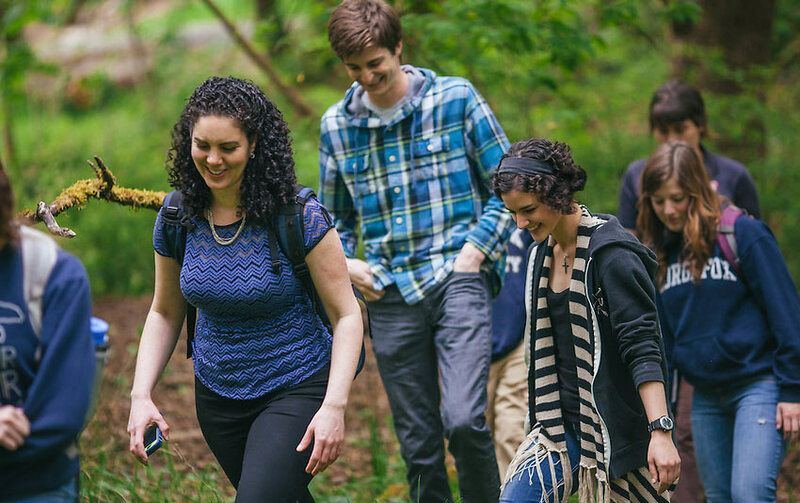 At George Fox, each student will be known – personally, academically and spiritually. It’s the hope each student brings to the college experience. To be known by name. To be understood, valued, encouraged and uplifted. At George Fox, to be known means that professors and staff connect with students in authentic ways – personally, academically, spiritually – recognizing that we all come to this place with different backgrounds, life experiences and dreams for the future. To be known means that students not only learn new ideas, they share their own. To be known means to be heard. When students feel what it’s like to be known in this way, they become inspired. And that’s when real change happens. Knowledge moves from the mind to the heart. Careers turn into callings. Faith turns into action. And that’s why we begin with a simple promise, that each student will be known. For more than 125 years, George Fox University has been committed to providing an education through which every student can grow intellectually, personally and spiritually. The school is regionally accredited by the Northwest Commission on Colleges and Universities and offers more than 40 undergraduate bachelor’s degree programs and 13 master’s and doctoral degrees. With just over 4,000 students – about 2,400 of whom are undergraduates – we are a small, private university that offers small classes, allowing faculty members and employees to give each student personalized attention. George Fox is classified as a “Best Regional University” in U.S. News & World Report’s annual rankings, and Forbes consistently ranks the school among the nation’s top Christian colleges. 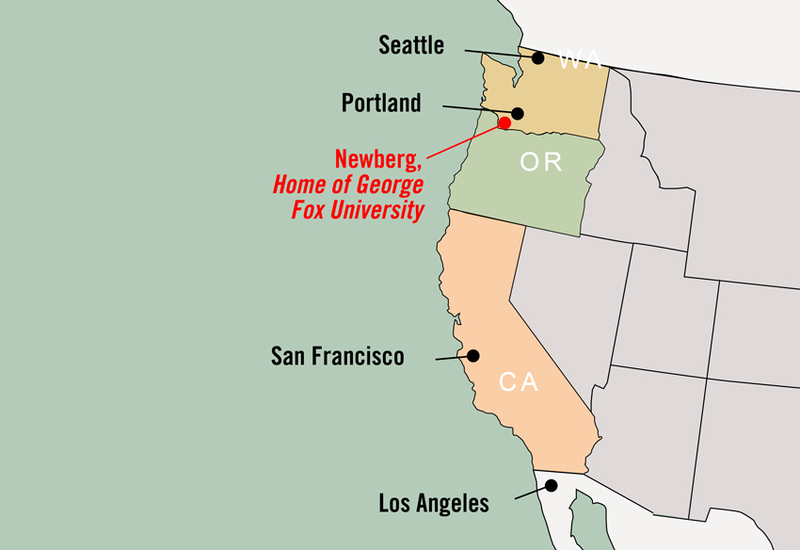 George Fox is situated in the heart of the beautiful Willamette Valley in Newberg, Oregon, in the western United States. With our rural, small-town setting, you can enjoy fresh, clean air and plenty of opportunities for recreation, including hiking, swimming, biking and skiing. Newberg was rated among the top 10 “safest cities in Oregon” by a community-focused safety organization, so you are safe to walk the streets, even at night. We live in a small town of about 24,000 that is easy to walk around (no car is needed), and there is easy access to Portland and the airport. Within an hour or two by car you will find the country, city, the Pacific Ocean and the mountains. For those who like big-city life, we are only 23 miles south of Portland, Oregon’s largest city and cultural center, where you can discover museums, markets, bookstores, a variety of restaurants, the waterfront, and professional sports teams like the Portland Trail Blazers. Oregon’s clean air, moderate temperatures and fertile soil make the state an ideal place to grow and produce a variety of items. We have 1,052 vineyards, are the largest producer of hazelnuts in the United States, and produce 84 percent of the pears in the U.S.
Oregon is one of the greenest, pollution-free states in the U.S. Many of the 75 million international visitors who come to the state every year comment on the fresh, clean air and the litter-free streets. Oregon has 584 kilometers of ocean coastline, the deepest lake in America (Crater Lake), more than 200 waterfalls and more than 30 million acres of forests. 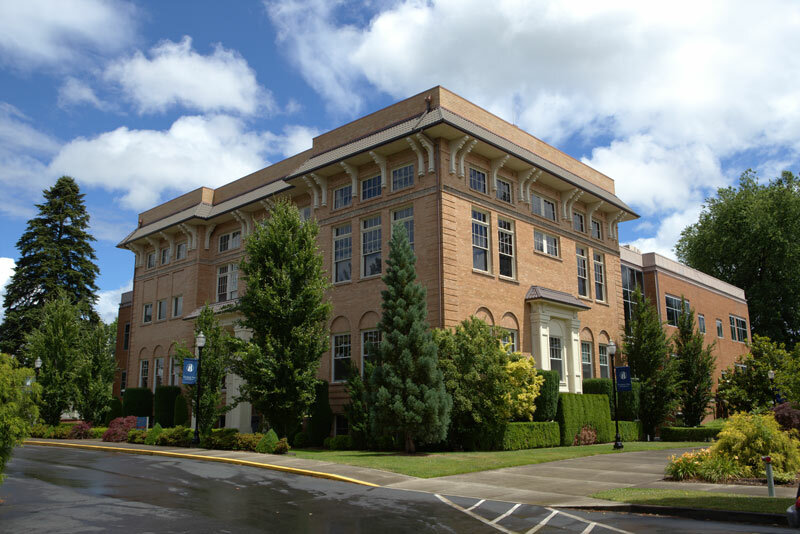 George Fox is a Christian university, so students are required to take Bible classes, attend chapel weekly and abide by the school’s Student Lifestyle Agreement. Christianity is the predominant religion in the United States, and as a result it has been woven into many aspects of the nation’s culture. If you want to understand Americans – how to do business with them and how to work with them – you will benefit from studying at an institution that abides by Christian principles. At George Fox, you will be taught about the Bible and Christianity by people who actively practice the faith. You will observe firsthand how it influences them in the workplace, in the classroom and in the way they conduct their daily lives. Our Christian atmosphere contributes to our safe and healthy campus culture. More than 125 years ago, Christian pioneers helped settle the rich and fruitful Chehalem Valley of Oregon, which is now known for its premier vineyards. One of the settlers’ first priorities was the education of their children. They established Friends Pacific Academy in 1885, which focused on Christian instruction. 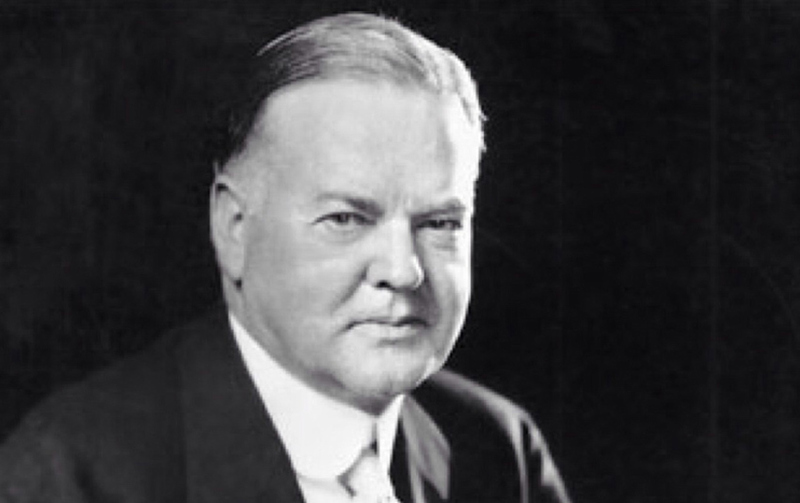 Among those first academy students was a future U.S. president, Herbert Hoover. The academy became Pacific College in 1891, and its name changed again in 1949 – to George Fox – when the school was renamed in honor of the founder of the Quaker (Friends) movement. Later, in the 1990s and early 2000s, a longtime U.S. senator, Mark Hatfield, taught at the university.